It is practically is wearing a Fusion nose. The pictures taken at extreme distance which makes judging size difficult, but if you examine the closer one, it looks the size of an Escape. This has all the signs of being an Escape. The side profile kinda made me think of a new Mazda tbh.. I was thinking MB/Nissan until the Infiniti render. Anyone in southern LA? 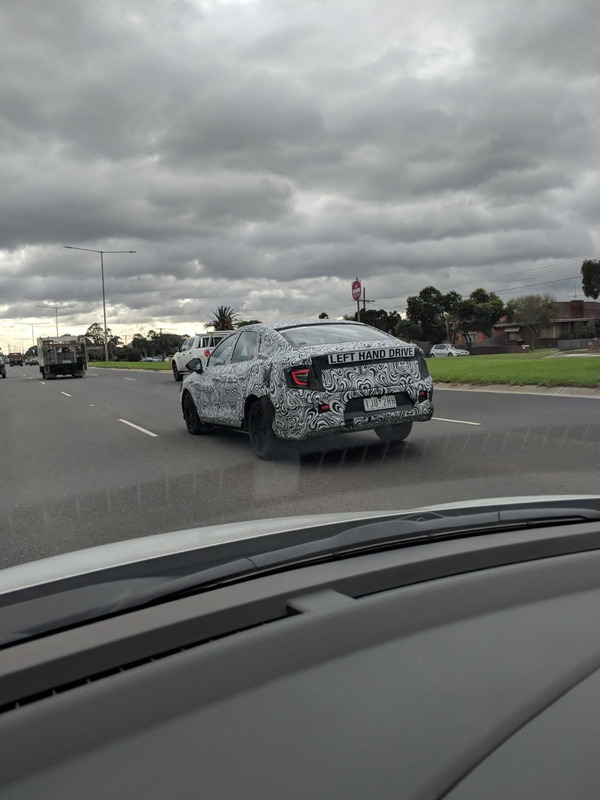 I keep seeing what I assume is a GLE prototype driving around but haven't been able to get a pic. It looks like they're giving it the same DRL as the sedan so it hints at the double headlight like the sedan used to have. I'll say this, probably not a skoda, the side mirror is not very skoda sedan like, more in line with Seat's mirror design. But then the front grill, the little we see doesn't seem to match very well to Seat. Could also be a Mazda 3 sedan?